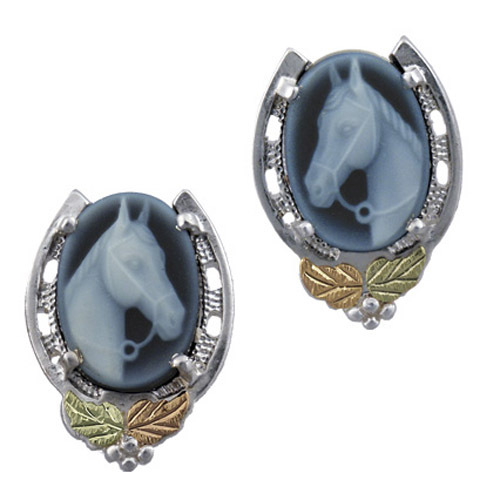 Desc: Landstrom's Black Hills Gold Sterling Silver horsehead Cameo earrings. 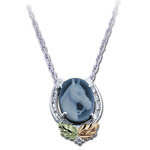 The oval Banded Agate horsehead Cameo is mounted in a Sterling Silver horseshoe. Rose and green gold leaves are mounted below the cameos. We also have a matching necklace, see GG166. Made in the United States of America.